uTorrent is a free downloader for torrent files. It includes a large number of features and doesn't require too many computer resources. 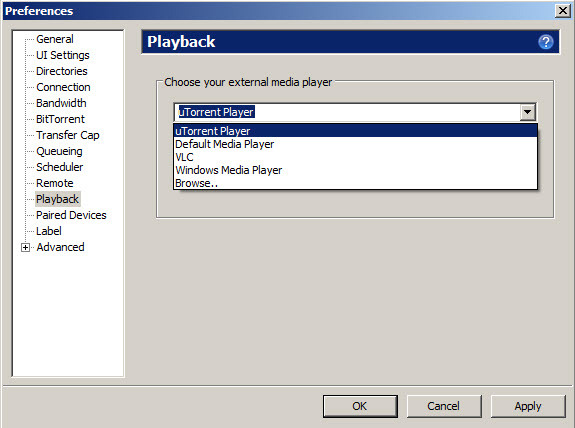 It is also able to create new torrent files that you can share to other users (public, private or password encrypted). The program was released first time in 2005 by Ludvig Strigeus, but later was purchased by BitTorrent company. From the first release it was a great success and now has millions of users. 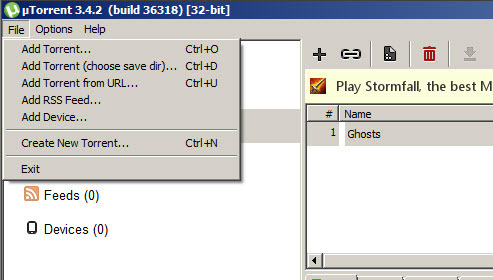 Once you start a new download, the program will display the real time progress and you can pause and resume the download anytime. All files are placed in queue, but you can change the order and priority of downloads. The files can be sorted by name, size etc. and you can view the download and upload speeds in a chart. You can choose the default folder where files will be saved, the download and upload limits (Kb/s) and enable scheduled transfers by days and hours. If the internet connection fails, uTorrent is able to restart the download process from the remaining point. Conclusion: It is a powerful and easy to use software which loads faster without consuming too much CPU and RAM resources. uTorrent is available as free download for Windows 32-bit and 64-bit. uTorrent is 100% clean and safe to install. You can see the test results here.